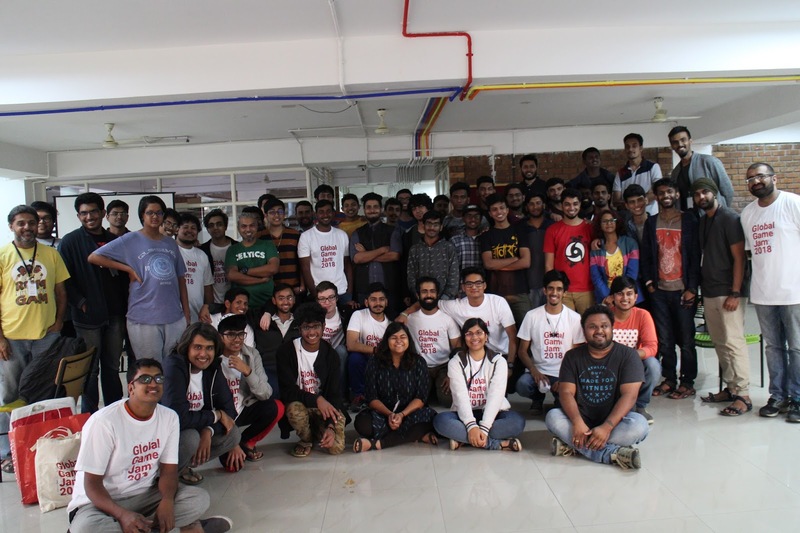 We had an awesome Global Game Jam here in India, especially in Bangalore. This year’s GGJ Bangalore would not have been possible without the help of Srishti Institute of Art, Design and Technology. Srishti was kind enough to host the jam, keep our jammers warm and cozy with sleeping bags, food, snacks and coffee. A special thanks to the IT folks to upgrade our networks to handle the massive load of close to a hundred people working out a single large hall. We were kept comfortable and safe by the housekeeping and security staff around the clock. It was a perfect jam. Special thanks to Unity for giving us all the swag and not to mention the online support and special jam specific technical videos :) RedBull kept us awake and ticking on the second day, special thanks to them for all those cans of RedBull. We had a 152 jammers registered at our site and we had a turnout of more than 89, who collectively created 20 games over the 48 hours all of which can be played here. The biggest surprise this year was the number of new faces at the venue and also the lack of a lot of our regular jammers. We had jammers coming from as far as Electronic City, Tumkur as well as Kochi, Kerala.